Your immune system plays two vital roles in your body. First, it responds to foreign organisms by producing antibodies and stimulating specialized cells which destroy those organisms or neutralize their toxic products. In this manner, it defends against foreign invaders: germs, viruses, bacteria, and the like. The Immune System is overwhelmed by too many invaders. The Immune System becomes weakened and vulnerable to attack. The Immune System becomes misprogrammed and loses the ability to identify invaders or mutated cells. The Immune System becomes misprogrammed and begins to mistakenly identify healthy body cells as the enemy and begins to attack them. The Immune System is compromised or missing some key component at birth. Of these problems, the first four are, in most cases, correctable. Only when the body is born without the ability to produce a key component are our options truly limited—but not necessarily hopeless. 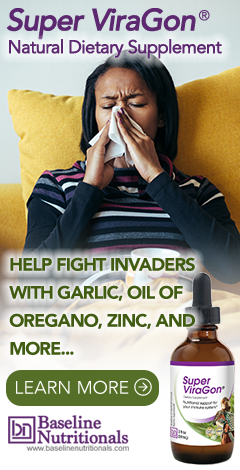 Improve Overall Immune Function—to allow the body to better defend itself. Building Your Immune System and Destroying Pathogens. Kill And Destroy Unfriendly Invaders—We need to specifically target (kill/destroy) invading bacteria, viruses, microorganisms and other related pathogens—to help out the immune system, as it were. Antibiotics and antivirals are not necessarily as effective as you might think. Why Antibiotics and Antivirals Fail. Clean Up Environmental Issues—Air pollution, water pollution, and heavy metal exposure all work to compromise the effectiveness of your immune system. You need to filter your water, clean up the air in your house, and remove heavy metals form your body on a regular basis to keep your immune system optimized. Stop Smoking—if you smoke, stop. But you already knew that. Avoid Sugar—research shows that white blood cells have a decreased ability to engulf bacteria when exposed to high levels of sugar, thus suppressing your immune system and your ability to fight infection. A 1976 study, for example, published in Dental Survey found that drinking 24 ounces of sugared cola depressed the activity of bacteria eating neutrophils for a minimum of five hours. Stick to natural sweeteners that are low on the glycemic index. And, if you are wondering what artificial sweeteners can do to your immune system, read this report. Limit coffee—research suggests that even though coffee may have some antioxidants, the high acid levels can impeded the villi of the small intestine, affecting your body's ability to assimilate nutrients, especially calcium, magnesium, and potassium. It also dehydrates the body. Green tea is a healthier alternative. If you drink coffee, drink 2 glasses of additional water for every cup of coffee, and take a mineral supplement to offset the loss caused by the coffee. Reduce alcohol—alcohol abuse is associated with immune deficiencies and an increased incidence of infectious diseases. Eat healthy fats— Omega 3's & 6's help the immune system recognize what is self/non-self—key for controlling cancer, and they are needed by the immune system to manufacture prostaglandins, which kill germs and invaders. And be sure to keep your consumption of Omega 3's and 6's in balance. Eliminate Toxic Food from Your Diet—as much as possible, avoid unnatural substances frequently found in commercial food that impact your health such as pesticides, insecticides, genetically modified foods, irradiated foods, food additives, artificial colors and flavors, preservatives, etc. There are over 3000 different chemicals added to our food, and nobody knows the effects of the various additives when used together in the thousands of combinations inside our bodies over time. Raise you pH—as much as possible, eat foods (primarily vegetables and some fruit) that raise your body's pH. Beneficial supplements include the minerals calcium, potassium, and magnesium. Avoid excesses of meat, dairy, sugars, and cooked grain—all of which make your body more acidic. Downfalls of an Over-Reactive Immune System. The bottom line is yes, you want your immune system to respond strongly to any pathogens -- but not too strongly. If it responds too strongly, the costs can outweigh the benefits. An overactive immune system can lead to sustained systemic inflammation, autoimmune disorders, overactive responses to allergens, even death, as in the case of avian flu. In this comprehensive report, learn what you can do to protect yourself, naturally and effectively. Cancer and Your Immune System. Every single day of your life your body produces anywhere from a few hundred to as many as 10,000 cancerous cells as part of it's normal metabolic processes. That means no one, by definition, is ever cancer free, ever. The difference is whether that cancer takes root and grows, or is destroyed by your immune system. While the option of a mouse inspired miracle immune cell injection may be a future option for humans, it is not an option today. That leaves you only one option available right now: to optimize the immunity you already have. Circulating Immune Complexes. At a certain point, when the macrophage immune system is totally overwhelmed, the “complementary immune system” (AKA the complement system) kicks in. This secondary system is comprised of approximately 25 proteins/enzymes that activate in a cascading sequence and end with what's called the “membrane attack complex.” As its name implies, this complex attacks the cell walls of invaders. A secondary function of the complementary immune system is to help rid the body of CIC's (circulating immune complexes) as discussed in Chapter 5. If the overload on the complementary immune system is great enough, severe inflammation of tissue, caused by the activity of albumins, can result. The bottom line is that the body's tissue literally begins to attack itself. That is to say, we now have an autoimmune condition!